The ESSENCE® Beauty Carnival ™, recognized as the world’s largest beauty experience for Black women, is hitting the road in 2019—newly reimagined as an expanded, multi-city tour. Tickets are on-sale now for this epic celebration of Black beauty—convening a community of enthusiasts, experts and influencers at New York City’s Pier 36 on April 27-28, 2019. Inspired by the brand’s original Beauty Carnival which takes place during the annual ESSENCE Festival and attracts more than 10,000 fans per day from around the world, the tour will return to New Orleans this summer, making the 25th anniversary ESSENCE Festival its second stop. The Beauty Carnival’s final destination will be in Texas October 2019. Details to be announced at a later date. 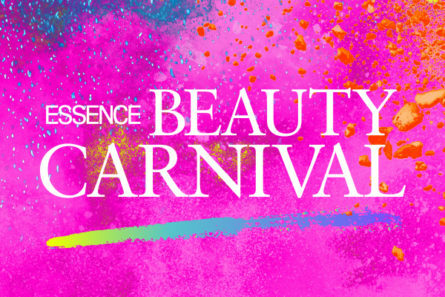 For more on the ESSENCE Beauty Carnival tour and to purchase tickets, visit Essence.com/BeautyCarnival. Share your experience on your social platforms using the official hashtag #EssenceCarnival.